Our formative years are a culmination of our home and school environments, social interactions, and life experiences. How we are brought up by those we consider as family, determines how well equipped we are to deal with life's challenges and surprises. What are the key ingredients for nurturing resilience, mindfulness and empathy? A second generation Greek-American, Lena grew up between both cultures and recalls her first exposure to the rest of the world on family trips as a child. At University, living in an exchange community and studying aborad in New Zealand sparked her growing obsession to explore the world. Post-graduation, she traversed the world from Tanzania to Thailand and back to her hometown Florida where she worked to provide students with similar opportunities to discover new places, cultures and peoples of the world. 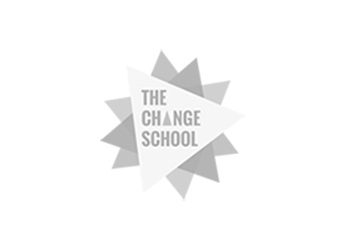 Today, Lena works as a counselor for international school students to help them address some of the common challenges TCKs face, which she relates to, such as reconciling the pressures of parental expectations vis-a-vis being true to ourselves. Lena shares her own experience of feeling misunderstood throughout her formative years and her journey of overcoming uncertainty, guilt and resentment in order to carve her own path. What I discovered was that I was able to be myself - in a new place/environment without any notion or expectation of who/what I should be.... I became addicted to allowing myself to be myself. I needed to keep moving because the more comforable I felt in one place, the more I fell into a routine. It was easy for me to revert back to all the things I was conditioned to think/feel about myself, the things I'd internalised as a child; these re-surfaced whenever I fell back into what was comfortable... [moving gave me] the experience of being my uninhibted self without the pressure to conform to what was expected of me. I was addicted to the movement." Lena recites a beautiful excerpt from On Children by Khalil Gibran and suggests reading The Conscious Parent by Dr Shefali Tsabary - for parents to better understand their children and the impact of setting expectations, and for young adults to better understand their parents and themselves. I encourage you to be true to yourself and to who you really are. Let that be what it is, independent of what is expected of you. Connect with Lena for more inspiration! Speaker, Trainer, Coach and Investor - helping people become more awesome! Kimble has lived in four countries, speaks four languages, and has had an impressive career journey in the world of investment banking. He believes all of this was possible because of his upbringing - childhood, stories, experiences. Family upbringing can create the most beautiful and amazing life, or it can destroy you. It all depends how you take it, how you accept those experiences, stories, culture and teachings, and how you apply it in your world today and tomorrow. 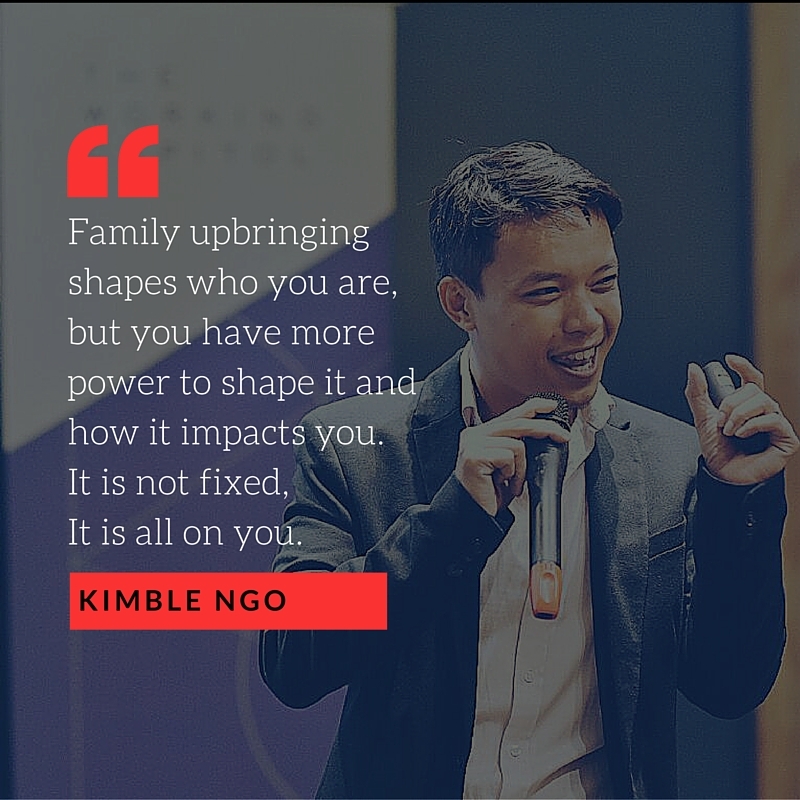 As chief trainer and co-founder of Modern Day Warriors, Kimble believes Global Citizenship and the importance of having a global mindset, to be the reality of the today. Family upbringing shapes who you are, but you have more power to shape it and how it impacts you. It is not fixed, it is all on you. 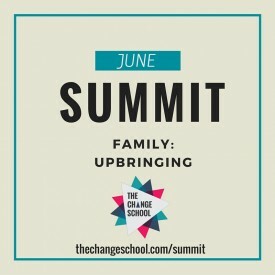 My challenge to you is this - go home and thank your mom and dad for doing their best to help shape you. Invite them to work with you to create the beautiful future you want for yourself and those you love. Connect with Kimble to share your views! Born and raised in Guatemala city, Isabel went to school in the US and now lives in Los Angeles with her first generation Lebanese fiance. She is the founer and CEO or PR Works - a small boutique agency specialising in music and entertainment. From a young age, Isabel's parents emphasised the importance of speaking a universal language. With English as a second language, Isabel describes the challenges she faced in pursuing a communications career in the US.. I had to perfect my grammar and advance my vocabulary. It didn't come easily to me and I had to work hard to get to a place where I didn't speak with an accent and had the ability to write just as well as my US counterparts. There were a lot of challenges trying to fit into a culture that was different from what I was used to. Back home women aren't expected to be as assertive as they are here (in the US)... I had to make sure I acted in a way that was approrpiate for my job - not speaking out of turn, etc. I had many thoughts of going back home and doing something else beacuse it was so hard, but I had a vision of what I wanted and knew I wouldn't be able to achieve it if I went back. 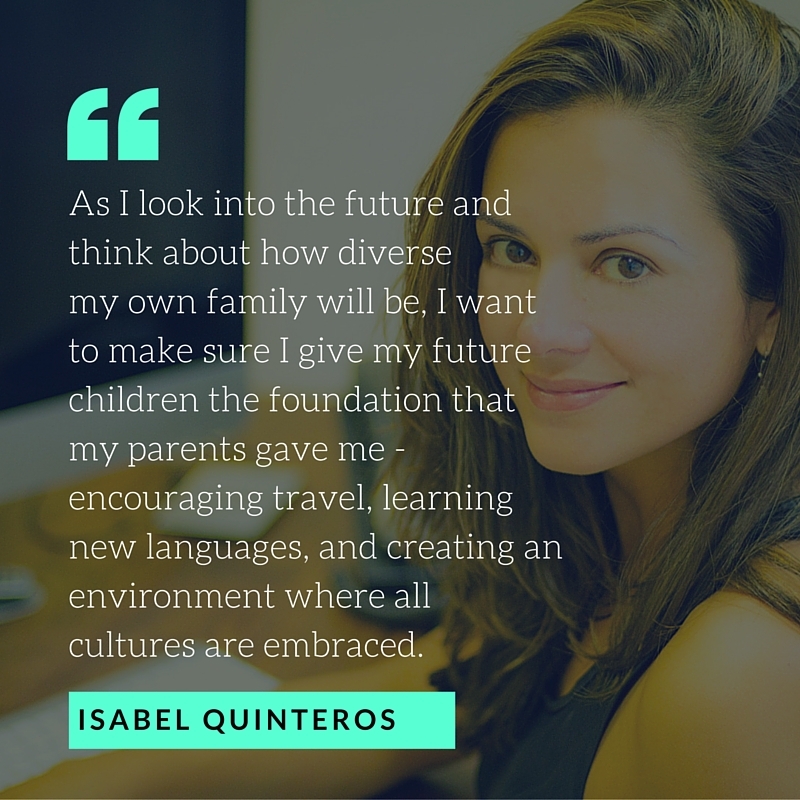 Fourteen years later, Isabel attributes the success of her company to her multicultural background - working with clients from all over the world and having the flexibilty to understand different cultures. She believes in the opportunity for the entertainment world to shift its solely-US focus and to think more globally - a mindset she hopes to help cultivate in her own future children through the combined influence of Latin and Lebanese culture and laying the foundations for expanded opportunities. Connect with Isabel at PRworks.us to share your thoughts! As the youngest of three Swedish siblings, Lena's family moved to Singapore at the young age of two - a move which her parents believed to be a good idea and and fed their own appetite for adventure. With no promises, but an open ticket to return home if things didn't work out, Singapore became a new reality. As far as I was concerned, Singapore was my home. That being said, us kids knew it wasn't where we originated from and we loved to hear our parents' stories and traditions from Sweden. I never felt that being Swedish was a major part of my identity; it felt more like a flavour - somethign that differentiated us slightly from other people. I love to listen, observe, and seek to really understand all the quirky little differences between cultures and traditions - this is by far one of the things I love most about being a Global Citizen. She recalls her parents leading by example on remote family trips around Asia, where they saw different ways of life, and opening their home in Singapore to friends traveling through the region - an opportunity to hear the experiences they had. This gave us a strong sense of empathy for people and their way of life. Even though I looked Swedish and could speak the langauge, I felt less Swedish than ever before. But I also knew that I wasn't quite Singaporean either. I didn't quite know where I belonged. Rather than feeling I didn’t believe to one culture, I decided I would belong to both. As a family I think we started to pick and choose the traditions we related to, adopted them, and made them our own. I think it really was about being resilient at times of change and adjusting to this new reality. And even though it was a challenging time, it was an exciting time to mould a new future together as a family. Today, Lena finds herself back in Singapore and falling in love with it all over again for very different reasons. As a designer, she brings her experience growing up in Asia to design for the Asian market and continues to seek new learning experiences through travel. My family really exposed me to new and different environments at a very young age. This created a curiosity to gather new experiences and helped me to define my values. My upbringing has helped me become an open-minded person and has helped to shape my enthusiastic view of Global Citizenship - a label I really relate to. Connect with Lena to share your thoughts!